'Liberty Trees' were trees that witnessed important historical events and speeches leading up to the Revolutionary War. This particular tree is a seedling of the 'Liberty Tree' that used to grow at St. Johns College in Annapolis and was reputed to be the oldest surviving in the country. 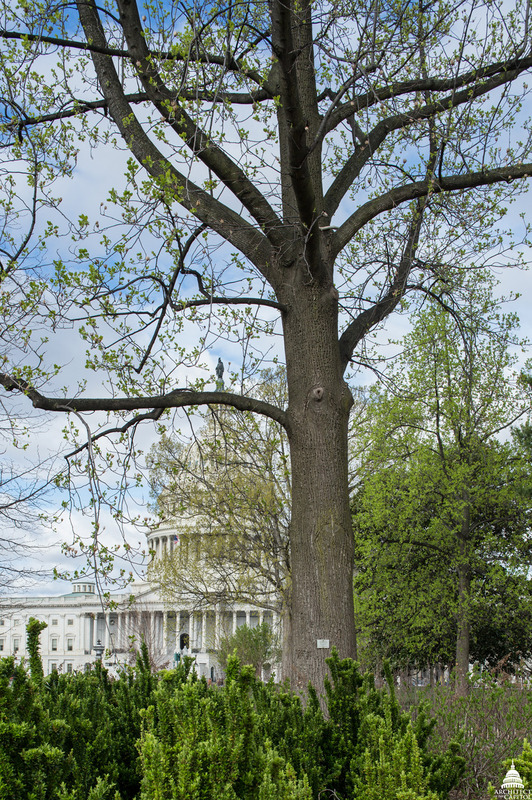 The species is one of the largest growing in the mid-Atlantic area and was chosen by Frederick Law Olmsted for this reason to line the East Capitol Street entrance to the Capitol. Named because of the tulip shaped flower, the tree is not recommended for residential properties because of a large eventual size and somewhat messy habit.